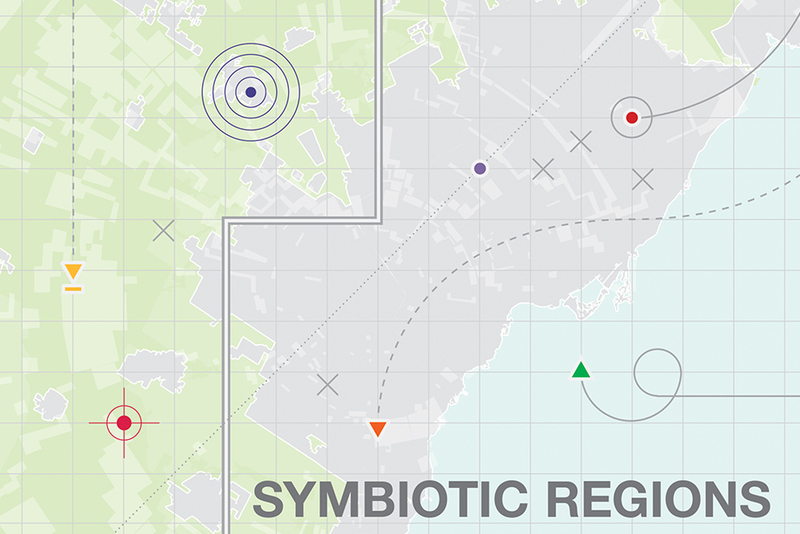 In 2016–2017, the Institute without Boundaries (IwB) focuses on ‘Symbiotic Regions’: a research and design project that aims to promote sustainable economic development on Toronto’s waterfront. It is the fourth year of a five-year research trajectory set by the IwB to explore Regional Ecologies, an approach that emphasizes the study of the regional scale of cities and their surrounding areas. IwB students will be sharing their findings and insights through this exhibition.